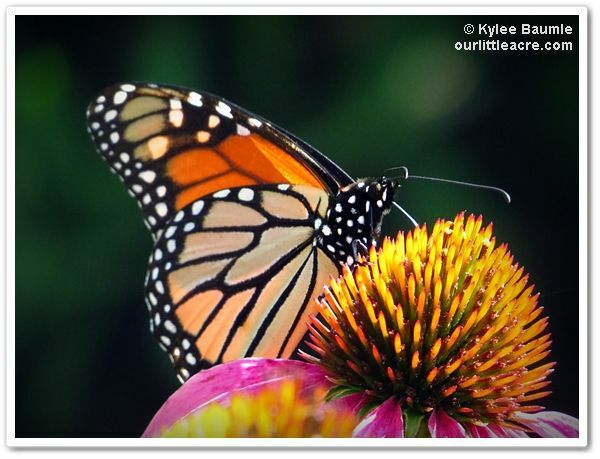 I have a heart for one the most iconic symbols of this country - the monarch butterfly. I've always been fascinated by them and entranced by their beautiful markings and how they metamorphose while being encased in a green jewel chrysalis. 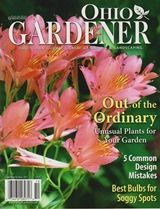 When I became a gardener, I learned of the importance they play in their role as a pollinator. but they only lay eggs on milkweed plants. Besides their beauty and utilitarian function though, is the miracle of their migration. How a creature that is two months old or less knows to leave their place of birth at just the right time and travel thousands of miles to a very specific location where they've never been before is incredible. Not everything is known about just how they do this, but the fact that they do is one of the world's wonders. This monarch is nectaring on swamp milkweed (Asclepias incarnata) in my garden. 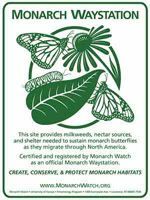 In recent years, the monarch population has declined drastically, due to loss of habitat and the use of pesticides. 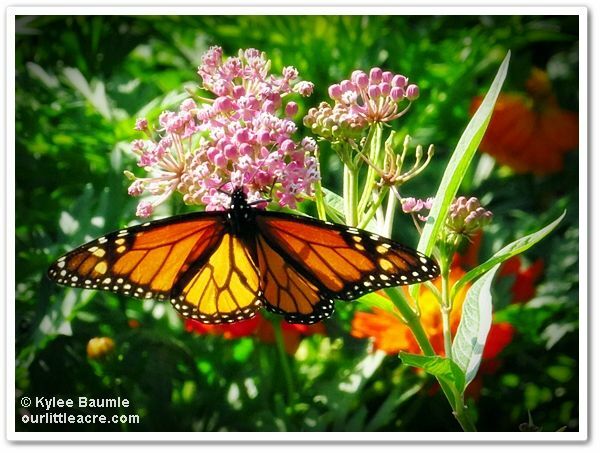 Monarchs require plants in the milkweed family (Asclepias spp.) on which to raise their young. These are the only things they eat as caterpillars. 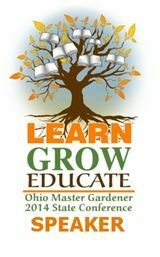 So gardeners are encouraged to grow milkweed in their gardens to try to help. Recent reports are that efforts are helping, even if the progress is very slow. Keep up the good work, people! career as a fashion designer. When I was in Seattle a couple of years ago, a walk through downtown led me by the design house of Luly Yang. 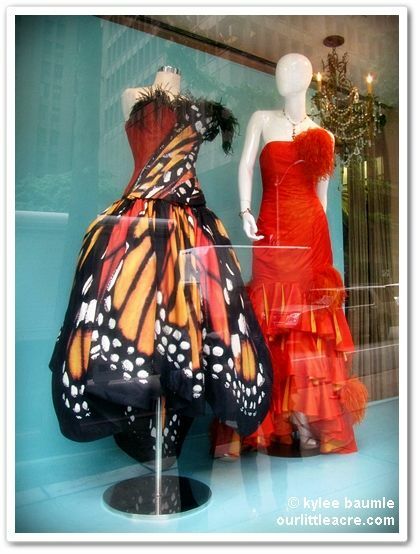 Yang is famous for her monarch butterfly dress and there it was, in the window. I fell in love with it and could envision myself wearing it at some fancy schmancy social function. I did a little research online about the dress and read an article about Luly Yang. The article had a photograph of Yang, wearing a beautiful monarch design scarf. Hmmm... a monarch scarf. I could do that. Because the monarch dress wasn't for sale and I wouldn't be able to afford a single wing of it anyway. So I began a search for a monarch scarf. 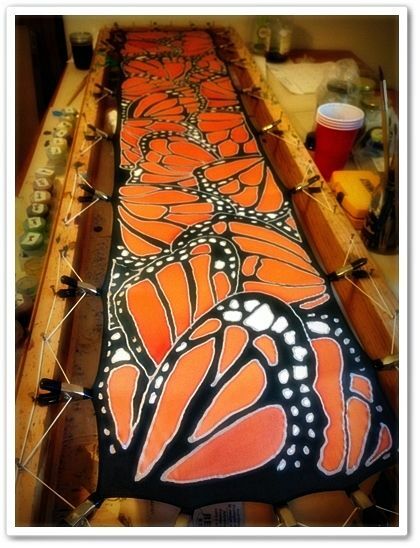 To make a long story short, I came upon Kimberly Kennedy, an artist in San Antonio, Texas, who had created a beautiful silk monarch scarf and a quick inquiry to her let me know that yes, she could make a scarf for me. She does these "on demand," one at a time, and it's a lengthy process that I have neither the talent nor the patience to do myself. I have been designing scarves since 2002. I am always finding inspiration all around me. I love the great outdoors and often am inspired by being out in nature. I use a lot of nature inspired designs in my work such as leaves, butterfly wings and abstract sea-life. I always have a camera on hand to remember interesting patterns, textures and wildlife that I see so I can reference it later. That's my monarch scarf, nearly completed. How long does it take for you to complete a design on a scarf, start to finish? It really depends on the complexity of the design. There are two main techniques I use, serti and shibori, and each has a different level of involvement. The serti technique involved hand drawing onto the silk a pattern. The more complex the pattern, the longer the scarf takes to complete. 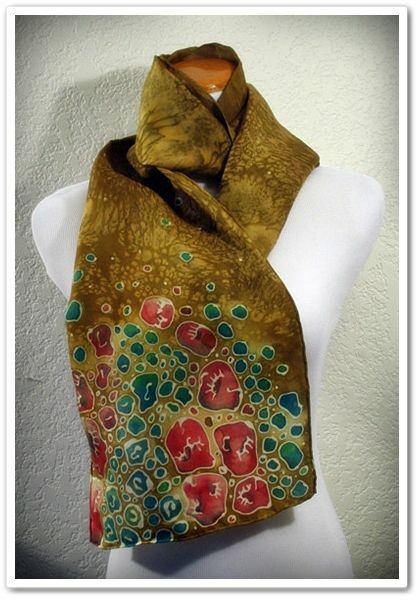 Typically a serti scarf can take 4-36 hours to draw and dye. 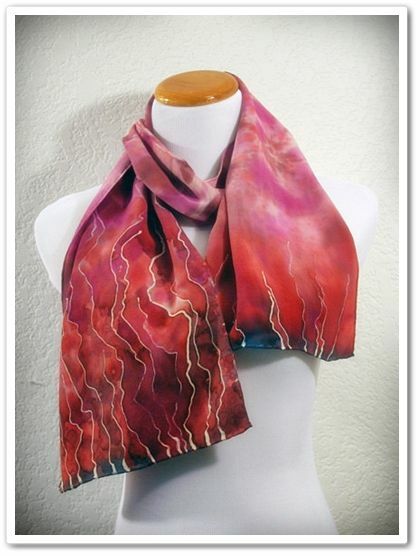 A shibori scarf is much less time consuming. Shibori is a Japanese binding technique where you use pipes and wooden blocks to wrap, clamp and dye scarves. This yields completely random, but beautiful patterns. After 24 hours the dyed scarf can be treated with a dye-set. Therefore each scarf takes a minimum of 24 hours from start to finish, mainly due to the required inactive time for the dye. 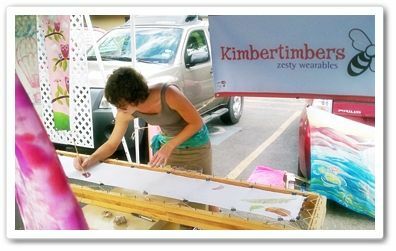 Kim works on creating one of her original scarf designs. It all started with a new art teacher in high school, Mrs. Killmore. She taught the class some basic techniques, but I wanted to learn more than just basics. 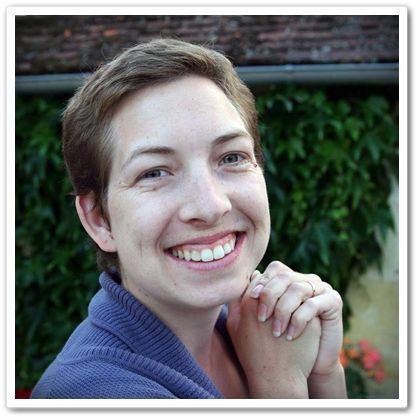 She took me under her wing and taught me more and really helped me to learn what dying was all about. Because of her I gained the building blocks to be where I am today. What is your favorite design and why is it your favorite? I love the butterfly designs! The butterfly takes the longest and is the most difficult to create, but the end product is just so amazing. They look so unique and really grab the attention of people around you. 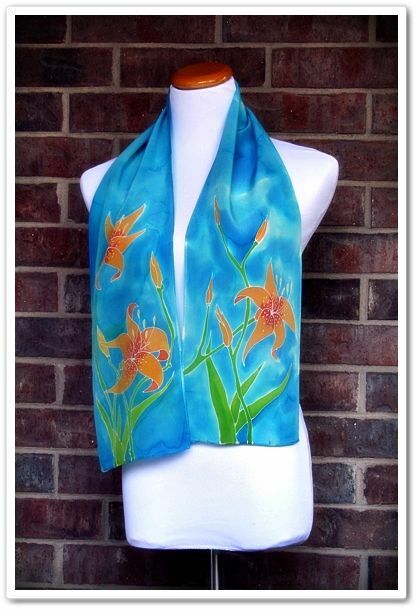 Have you done or do you do any other kinds of art besides your scarves? Oh my goodness yes! I actually went to an art college. I have a BFA in Graphic Design from Maryland Institute College of Art in Baltimore. I play with many areas of art including sculpture, painting, drawing, ceramics and photography. I really enjoy working with my hands, so any opportunity to do that makes me happy. One of my favorite forms of art is photography on my old Pentax film SLR that was handed down to me by family. I also like taking digital photography, but there is something so raw and special about film. When I travel I bring both cameras, but the film photos almost always win over the digital photos. I know you've said this is a sideline for you. Do you have future plans to make this your life's work? For now my business is a part time endeavor, but someday I would like to open a shared gallery and studio space. It would be a place for artists to collaborate on new and exciting work to share with the community, not just a stationary place to view art. Besides fine art also I also enjoy building structures and being the family handy-woman. I built my Chicken coop out back and have plans to build a backyard studio soon too. I now own one of Kim's monarch design scarves and if you think it looks beautiful in photos, you should see it for real. I wore it one day at the recent National Children & Youth Gardening Symposium, held this year in Columbus, Ohio, and all day long I had comments and compliments on my scarf. I don't usually wear the scarf in my hair, but it's long enough that I can! 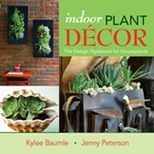 What a special gift this would be for the upcoming holidays! 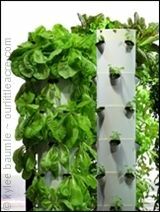 Since it takes a bit of time (up to four weeks) for a design to be completed and shipped, it's not too early to think about it. She does custom orders too, in any pattern and color you like. 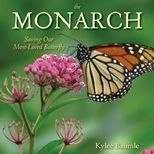 Kylee, you should pack up little Miss Hannah and bring her to the Little River Wetlands Project Monarch Festival on September 14. Monarchs galore, in all stages of transformation! We had a butterfly garden in our front yard at our first house. It was inspiring to watch them flutter around the flowers on a summer afternoon when work was done. Lisa ~ Kim's work is amazing. It's just PERFECT. Renee ~ We have Hannah that weekend, so we just might do that! Chris ~ I love watching them too. This year has seen a dramatic increase of them in our gardens compared to the last few. I see at least one monarch every day I go out and many days there are three at a time fluttering around. What a great story - and what a clever way to shop for a beautiful scarf. 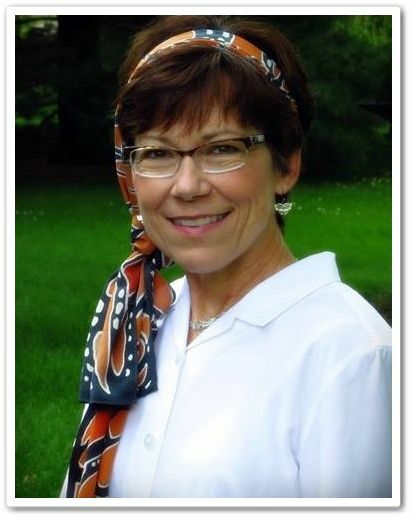 Pat ~ It's amazing how you can wend your way around the internet to find what you want, isn't it? Lovely designs! You look great in your new scarf! 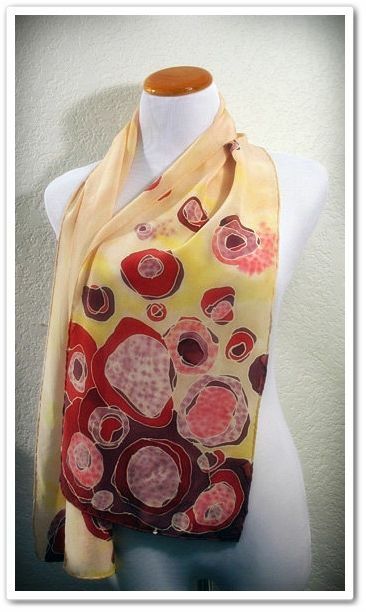 Wow, that is indeed a gorgeous scarf! Are you sure it costs less than that dress? I've only seen a few monarchs passing by this year, but today I managed to capture one in a photo, so I was thrilled! RobinL ~ Well, the dress costs $25,000 and the scarf costs $85. ;-) Good on you for getting to photograph a monarch! They've been super plentiful in our garden this year, which is a vast improvement over the last several years and I hope is a good sign of years to come! Beth ~ Thank you! Aren't Kim's designs so pretty?